See our selection of well-maintained condos, cabins & homes around the Red Lodge area for group sizes from 2-23. Book 6 nights, get the 7th at NO COST. To get the most out of your Montana vacation getaway, you can find the perfect place to "call home." Spectacular views, incredible amenities and service. Choose form our 8 creekside townhouse rentals - 3 blocks from down town. 3 and 4 bedroom units with comfortable furnishings, outside decks with waterfall views. 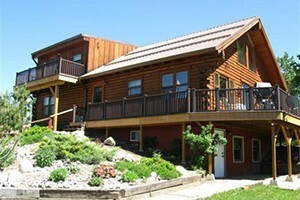 You can celebrate your Montana vacation in style by choosing a fabulous vacation rental - one exactly to your liking. Perfect for a Red Lodge getaway. Montana Wedding Barn and Lodge. Panoramic view of the Stillwater River and Beartooth Mountains. Luxuriously rustic venue perfect for your special event. Distinctly Montana. Two vacation homes to choose from on 450 acre Ranch, open year-round, affordable rates, small family reunions, romantic getaways, family outing. Cabin rental information for Bozeman Montana.